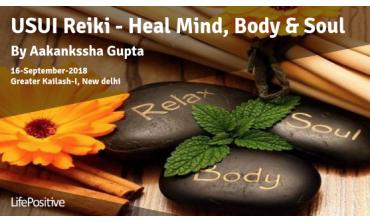 All our Reiki Healing events/trainings in new delhi are conducted by certified Reiki Healers, who have at least one year of professional experience. When you book an event/training at Life Positive, you are protected by the Life Positive seal of trust. 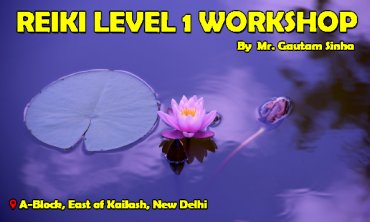 Usui Reiki Level 1 and 2 Reiki is a Japanese technique which helps in holistic healing. It aids you to not only heal your physical body but also brings about changes in y. . . If you are reading this, it means you are interested in the Japanese technique of Reiki. This is about holistic healing. It helps you heal physically and mentally. It helps you change your at. . .
Reiki is a Japanese technique, which helps in holistic healing. It aids you to not only heal your physical body. but also brings about changes in your mind, attitude, and helps in your spiritual gr. 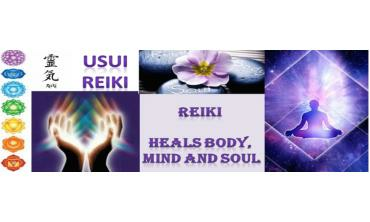 . .
Reiki is a beautiful healing art offering beneficial, calming, balancing and stress-reducing effect. Re. . .
Want to be a Master of Reiki? Here is your golden chance! 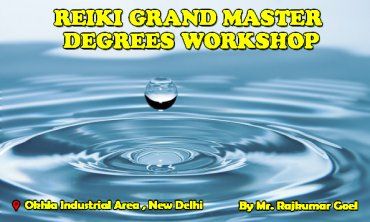 Grab Reiki Grand Master degrees through this workshop. You will hardly get such an opportunity elsewhere. Even if you get, yo. . .
Reiki is an energy healing technique. You do it with hands. But you also do it with the power of your mind. If you want to heal, you can. If you don't, you won't. This . . .
Healers are not always accessible to everybody, every time. You may need to fix appointments. Reiki healing courses in New Delhi allow you to have a tete-e- tete with the healer and unveil mysterious of your existence. Reiki healing courses in New Delhi are held at various areas in the National Capital of India, Delhi, is perhaps the best place to learn Reiki in India. Delhi offers a myriad of opportunities to undergo sessions, learn this art of healing, and to conduct them as well. The best part: Delhi offers courses in several places. Yes, anybody can learn Reiki. If you think you have the "healing touch" in you, enroll for Reiki training in New Delhi and give your life a newer meaning. Enhance your spirituality by healing others and yourselves. You can also undergo healing in such training. 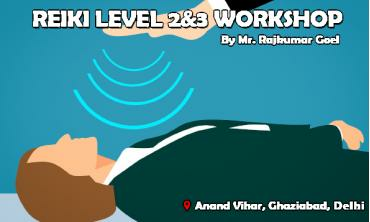 A typical session of Reiki training in New Delhi can stretch up to 90 minutes or could end in just 15 minutes. It depends on the individual case. The setting is quiet and, if you are comfortable, you can put on some light music. You need no equipment for this healing therapy. Just faith. Make sure you are in the hands of a well-trained practitioner. You can sit on a chair or lie down. Commonly, healers perform Reiki through light touch on the head and the torso. Some do it while keeping their hands a little away from the area without touching. You seem to enter into a trance-like state - aware of the surrounding, yet away from the world. Reiki is not some new healing therapy as many think. It has been around since 1922. It is the brainchild of Japanese Buddhist Mikao Usui. “Rei” means “Godʼs wisdom” and “Ki” means “life force energy.” So, Reiki means infusing life force energy through Godʼs wisdom or divine forces. Refreshed! This is one word that almost all people who undergo the session said. Some people actually feel the energy like a warm glow, while some may not. But they end up feeling fresh and relaxed. Practitioners believe that when energy flows well through your chakras in the body you feel energetic and good. Problems arise when energy channels get blocked. You need no medicines in this case. Healing through the divine forces is the key to opening up your blocked energy and feeling one with the Universal force. Be in constant touch with the Universal force by enrolling for courses, which are available throughout Delhi. You can undergo Reiki training in New Delhi. Try Reiki healing. Learn it in easy steps. This is the essence of living. Be a certified Reiki healer. Get certificates (wherever applicable) for participation in training workshops and courses.
" Neelima Srivastava is my aunt and it is through her our entire extended family was introduced to Reiki. Reiki has been the best healing practice I know and it has given us tremendous energy, confidence and great understanding of how our ailments are a product of our own emotional buildups. She has been always a goto person for me and have always helped and guided me and also listened very patiently about any issues and has always guided me in the right direction. " " Reiki grand master Mrs. Neelima Srivastava, is my Reiki Guru since 2013. Under her guidance I did IInd degree course. She listens to all my queries patiently and have solutions to all my problems. She is a nice teacher, wonderful person and a great Reiki master. I thank her for her guidance. " " I did reiki level 1 and level 2 with Anamika mam. my life is totally changed after that. I have also come out of depression to a great extent. regularly doing my self-healing and looking forward to for other courses too. thank you, mam." " Neelima Maam is one of the best teachers I have come across. With her wealth of experience and knowledge she is a true guiding light.Her guidance comes from deep understanding and empathy." " Ms. Josan is an amazing person and very genuine person she guided me out of some very dark times in my life and I will always be thankful to her and her methods, I will not miss this event for the world !! " " Amazing workshop...will definitely recommend!"